The book “Along the wall strip. Berlin, 30 years under transformation” is the result of a documentary photography project carried out in 2018 by El Globus Vermell in collaboration with the EUROM. 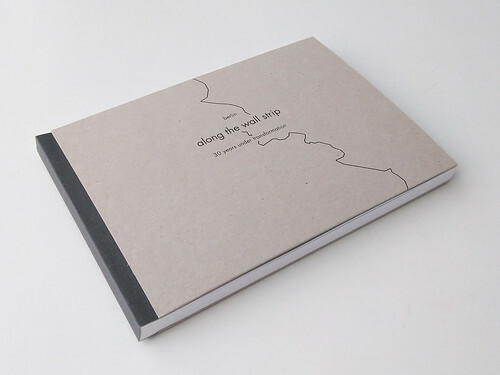 The publication is materialized in double format, a web and 200 imprint copies, with the aim of questioning the audience throughout a journey to places where reflection takes shape. The project collects 132 pictures of 66 sites along the 45 km of the Berlin Wall. The images were taken in the years after the collapse of the Iron Curtain and in 2018, from the very same spot. All the pictures are geolocated to allow readers to use the book as a guide and to keep on testifying the landscape transformation of the strip that divided the city during almost 30 years (1961-1989). It includes five articles reflecting on the recent history of the European Union, portraying the urban transformation undergone in Berlin from the 90s until today throughout the traces of the famous Wall. The digital version was developed in freesotware by vitrubio.net. The aim of this project is to stimulate critical thinking and vision regarding the impact of urban transformation derived from reunification, as well as other issues such as the identity of the city, the memorialization of the past or the touristification of the Wall strip. Published in cooperation with German and Spanish architects and historians, this project is one of our contributions to the coming commemorations of the 30th anniversary of the fall of the Berlin wall. The speedy demolition of the border fortifications in 1990 created several “non-sites” illustrated by the pictures in this publication. The emptiness that was left behind became a “shadow monument” and reminder that this had once been a historic site of international significance. Now overgrown with vegetation, it has become banal. We shall soon be commemorating the thirtieth anniversary of the demolition of that dividing wall. Memorial processes must serve for us to learn and build fairer societies. To unite what the violence of the past tried to separate. That is why we at the European Observatory on Memories, among other initiatives, have published this volume. In order to learn. Through a task of photographic and artistic research, a reflection on the public space, on the traces of a wall ten years after it was almost totally demolished. Those traces, whether modified or not, shape an eternal legacy. An aesthetic symbol that goes beyond the way the city has evolved: considerably. The urban, architectural or physical modification of the traces of the wall speaks to us of that. Keep reading.